A technical guy would say that it is very easy to remote access from Mac to PC. This is because Apple has spent a lot of time ensuring anyone can log in to their Macs. Besides, there are a variety of third-party applications that's very helpful for users. Still, remotely managing their PC sounds overly complicated to a lot of people. From how you connect to sharing files or screens to using your Apple device as a remote mouse. A remote desktop connection is a great help if you want to remote access from Mac to PC. The stalwart tool has been a remote connection for all Mac users who want to access Microsoft systems. It allows users to remotely connect to a Windows desktop to access local files, applications, and network resources. This is a great tool if you want to remote access from Mac to PC. 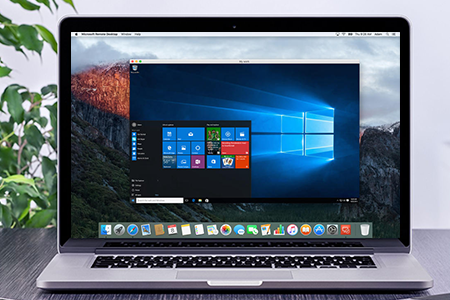 In order to get started with Microsoft Remote Desktop, you must begin by downloading it from the Mac App Store. If you are in the Mac App Store and successfully accessed it, use the search bar to look for the Microsoft Remote Desktop. You will find the free application at the first search result. With the help of this application, you can remote access from Mac to PC from almost anywhere. With the help of RemoteFX in a Remote Desktop client designed to help you get your work done wherever you are. Open the Launchpad icon and click on the Remote Desktop app icon or try to look for Microsoft Remote Desktop. Enable remote access from Mac to PC. The administrator password is needed to complete this step. Select "Allow remote connections to this computer" in the System Properties. Select the users who will be able to access through remote desktop connection. Get the full PC name, as you will need it to set up the connection if you want to remote access from Mac to PC. Head back to your Mac and click the "New" button at the top left of the Microsoft Remote Desktop screen. Fill the required fields. Credentials is where you will type the domain, username, and password for the target PC so you can log in through remote connection. You may enable "Forward printing devices" to make your local printers available during your remote access from Mac to PC session. Choose the local folder you wanted to be available during your remote session in the "Redirection" tab. When finish configuring the remote desktop, click the red close button to start your new remote desktop session. Whether you are working on your Mac directly, logging into your Mac remotely, or sharing access with someone else, security should be on top of your mind. And when you remote access from Mac to PC, someone can see every file and document on your Mac, except those that are password protected. Unfortunately, if you leave passwords in a visible document, you are exposed to numerous number of risks. A secure application like Comodo ONE is a tool well worth using to stop unwanted eyes from lurking around during the time you remote access from Mac to PC. It is good most especially if you are sharing sensitive files, financial records, or customer data. It is a great management platform with free Remote Monitoring and Management, Patch Management, and Service desk platform. Download you free installation pack today.